Wind power is a free and inexhaustible source of energy. It releases no pollution into the air or water, and does not contribute to global warming. Unlike fossil fuels such as coal and oil, which exist in a finite supply and which must be extracted from the earth at great environmental cost, wind turbines harness a boundless supply of kinetic energy in the form of wind. Unlike most other electricity sources, wind turbines do not consume water. 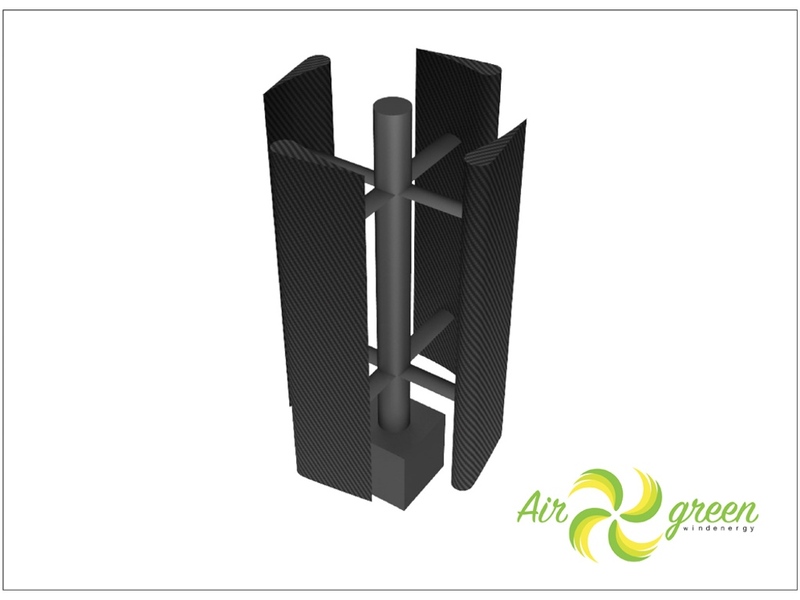 Vertical axis wind turbine are one whose axis of rotation is vertical with respect to ground. There are many Advantages and disadvantages of vertical axis wind turbine but we have discussed few of advantages of vertical axis wind turbine below. The vertical wind generator LMG-5KW is designed to provide energy which is green and with greater efficiency to enhance the environment. This product is in the experimental stage, but from the first quite promising theoretical calculations both on the basis of energy production, both on the basis of the production costs thereof. The basic idea is to make the green energy accessible to all by improving the efficiency with reduced size and cost. The entire product LMG-5KW is realized with super-lightweight materials (carbon, aluminum, etc ...) in order to be able to use the wind energy even at low speed. The following specifications are the result of purely theoretical calculations based on the classic aerodynamics formulas and vertical wind design. 4 blades with the principle of lift of dimensions 165 cm x 40 cm x 10 cm, with an objective of production 5kw below 150 rpm. Since, this project is in an experimental phase with purely theoretical calculations, the funds raised will be invested to study and confirm the theoretical calculations carried out and the construction of the prototype, mentioned in Kickstarter. You can support this promising product by contributing at Kickstarter- help them to achieve the successful development of a green energy product.